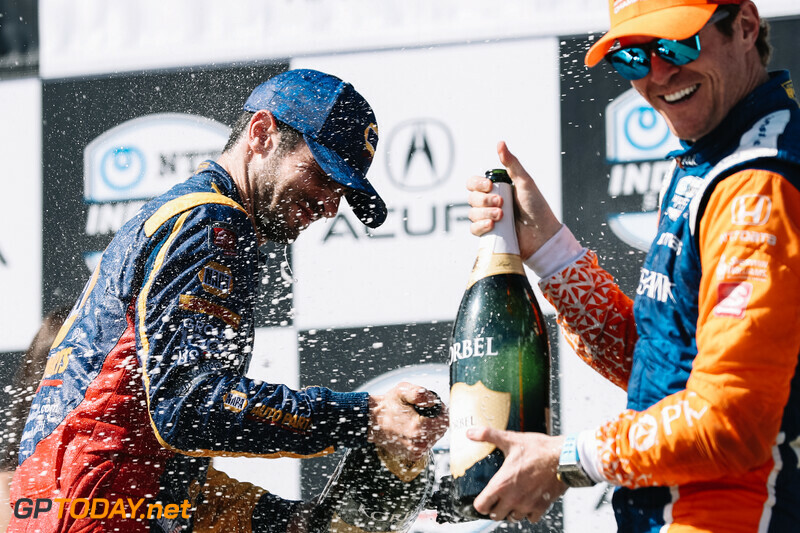 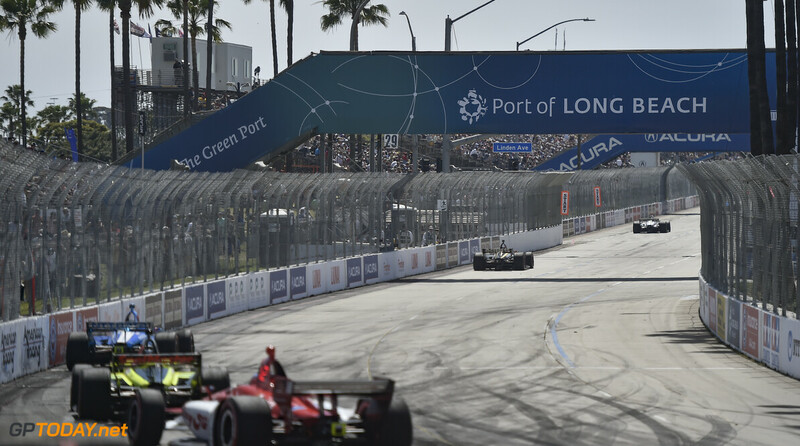 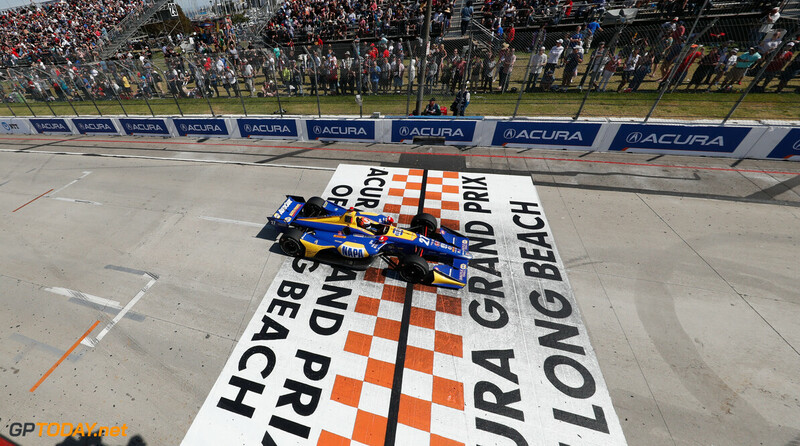 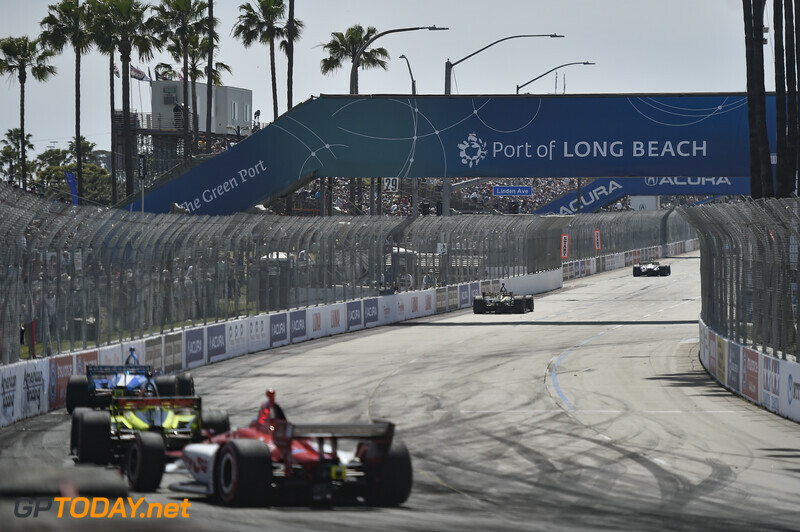 Alexander Rossi took his first race win of the 2019 IndyCar season, dominating at Long Beach to win by over 20 seconds. 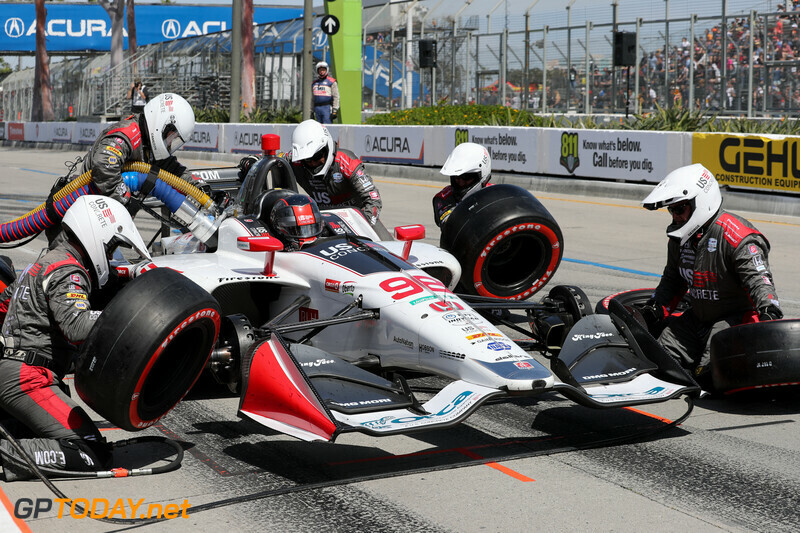 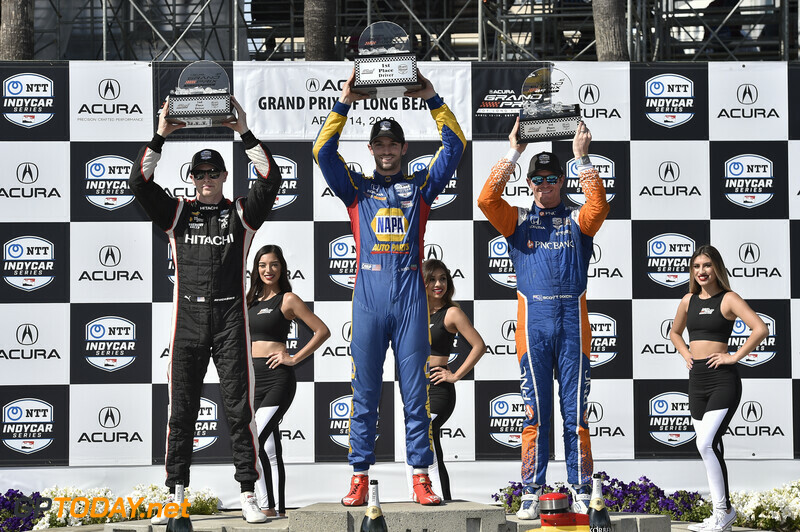 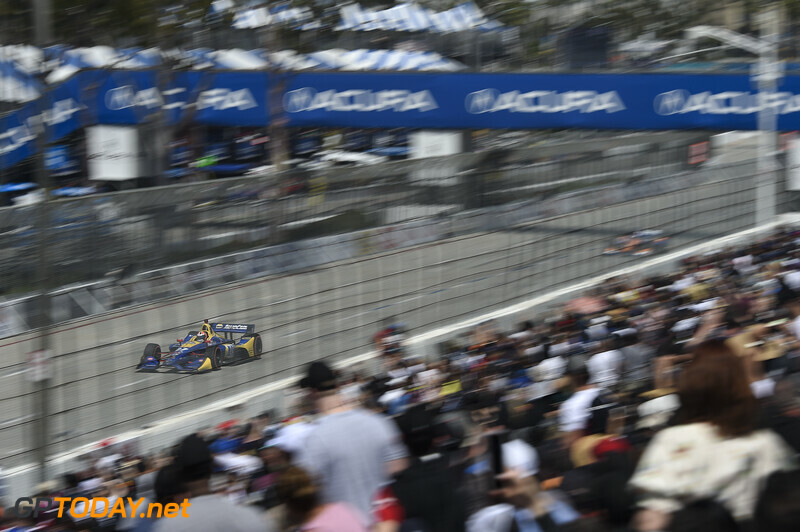 The California-born racer held off Scott Dixon on the opening lap into Turn 1, and again on the restart after an early yellow, caused by a coming together between Spencer Pigot, Marcus Ericsson and Jack Harvey. 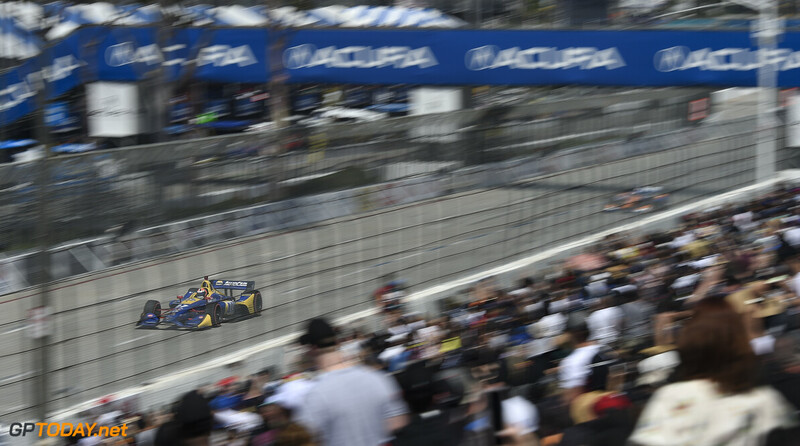 After the restart, of which there was only one throughout the 8 laps, Rossi soon disappeared and went on to take his second consecutive win at his home race. 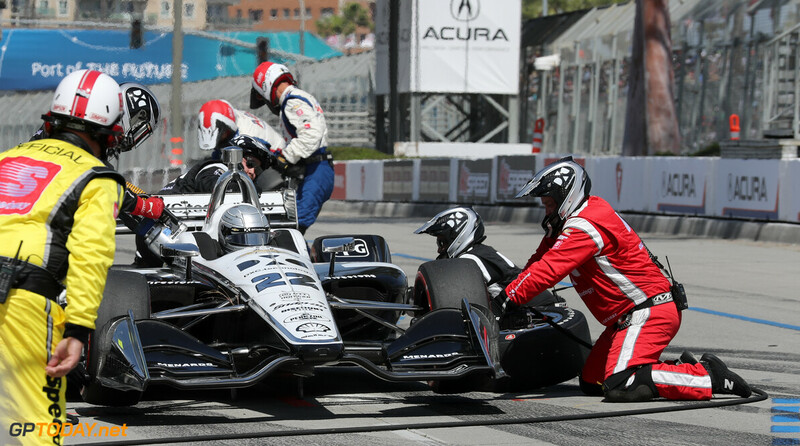 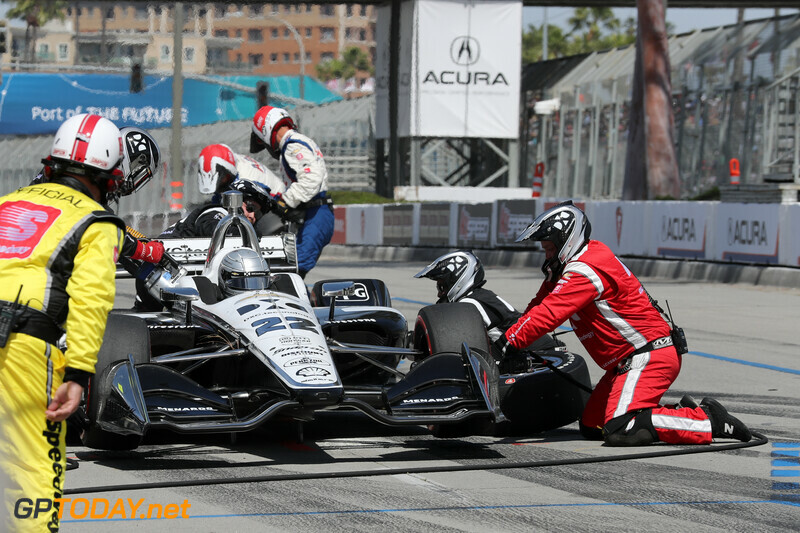 Josef Newgarden managed to cross the finish line in second place as an exciting battle occurred behind him for the final spot on the podium. 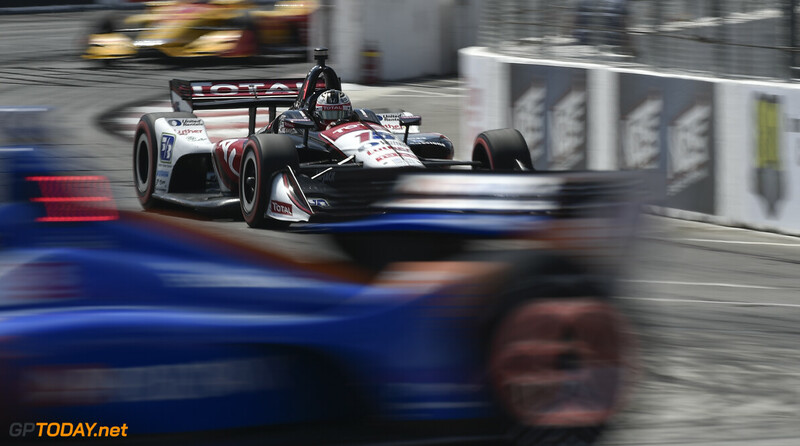 In the last number of laps, Graham Rahal was holding off Dixon who was recovering after a slow pit stop due to a fuel pump problem. 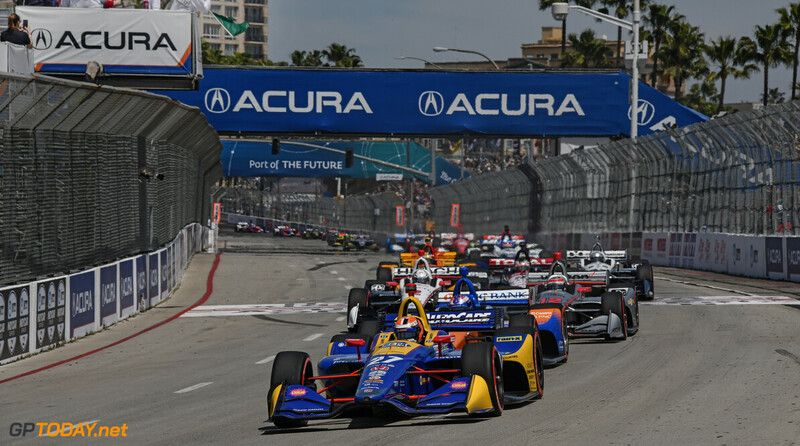 Ryan Hunter-Reay was also in the fight but dropped off in the three laps as he entered “full emergency fuel-save mode". 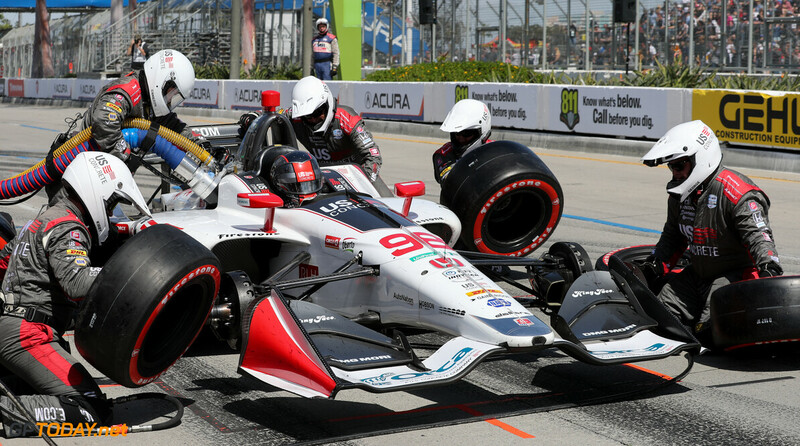 Rahal and Dixon came together on the last lap, as the former moved over to the right-hand side of the circuit after locking up heading into the corner before. 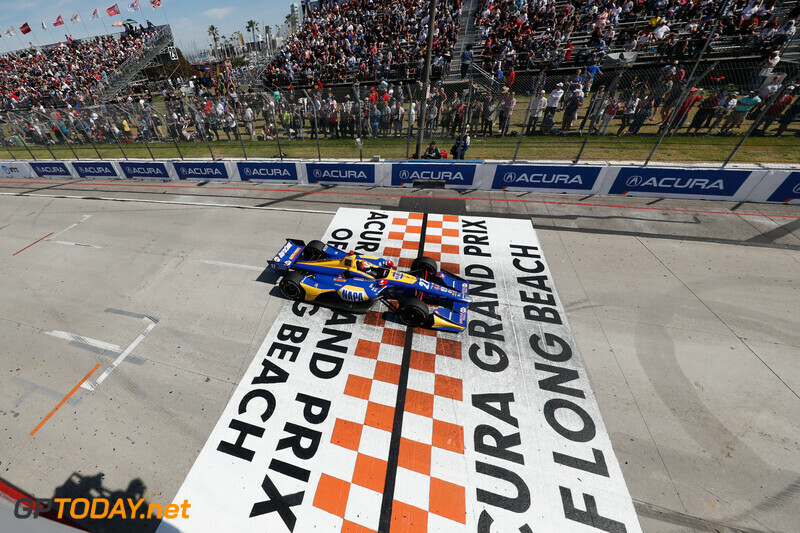 Dixon also pulled to the right on the exit as he carried the tighter line through and the two made light contact. 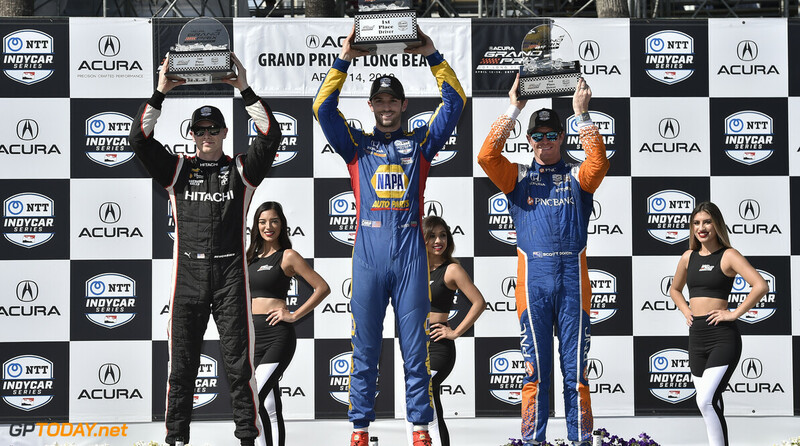 Subsequently, Dixon was handed third place by race officials after the chequered flag, despite Rahal crossing the line in front of him. 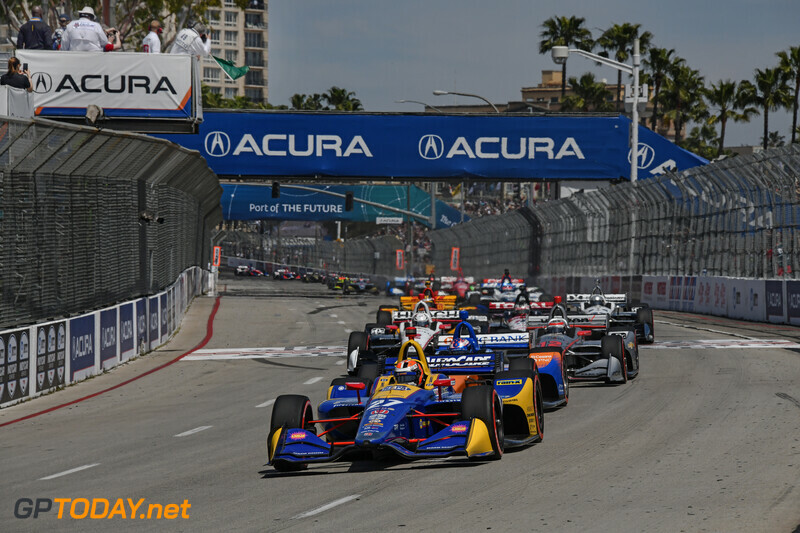 Hunter-Reay managed to secure fifth place, heading the two other Chevrolet-powered Penske's of Simon Pagenaud and Will Power. 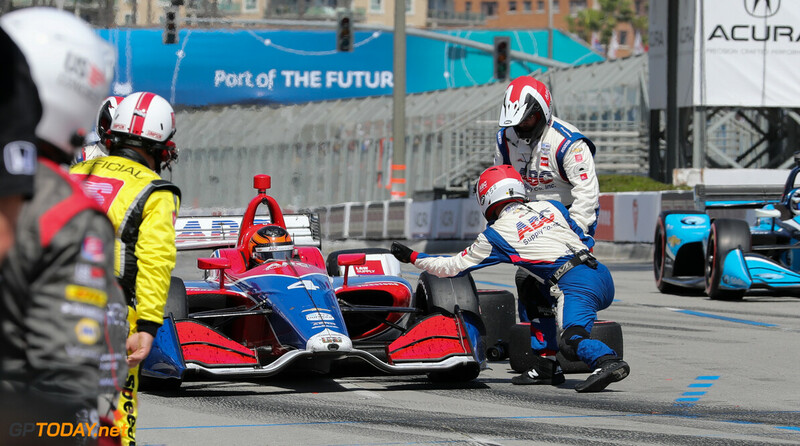 Power ran into trouble while battling Dixon during the race, locking up at Turn 1 and going straight on, losing a handful of time in the process. 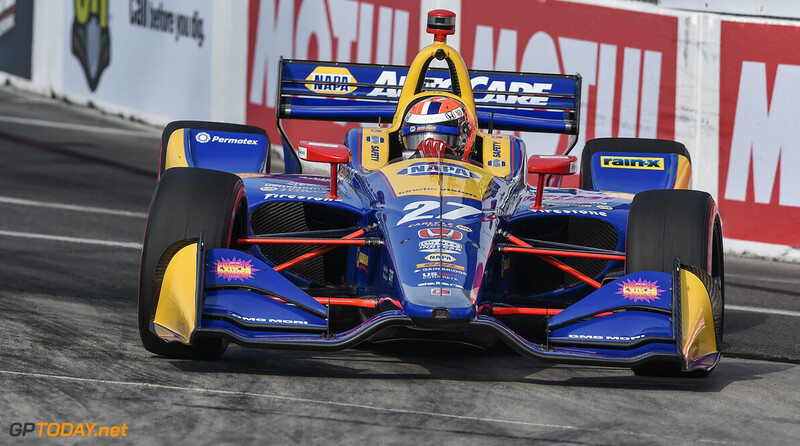 After winning last time out at Barber Motorsports Park, Takuma Sato crossed the line in eighth place. 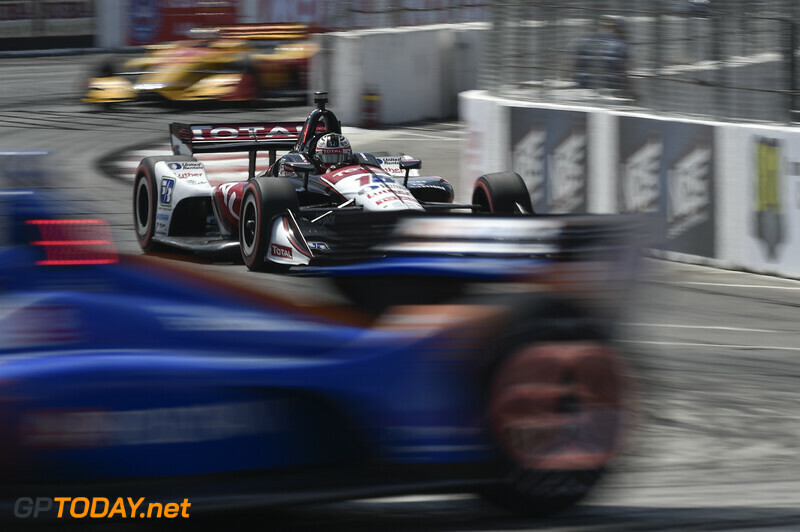 James Hinchcliffe was ninth, just taking the spot ahead of Felix Rosenqvist who rounded out the top ten. 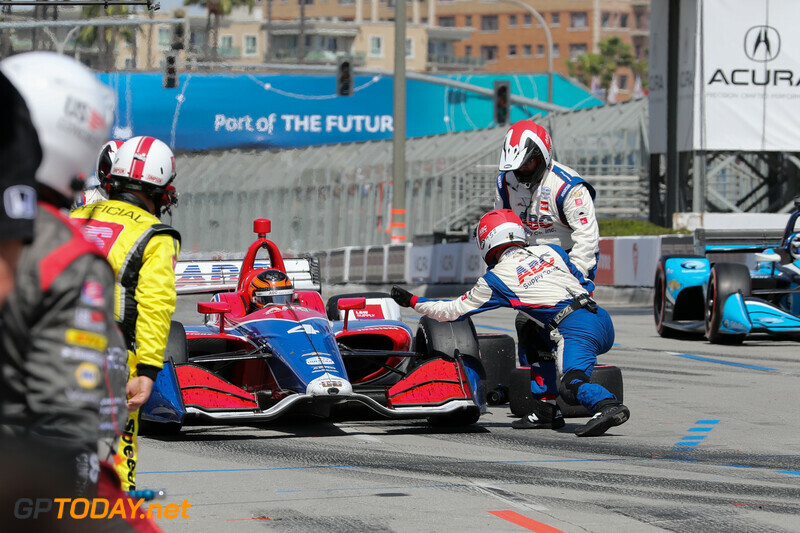 There was one retirement from the race, as Colton Herta hit the wall on lap 50. 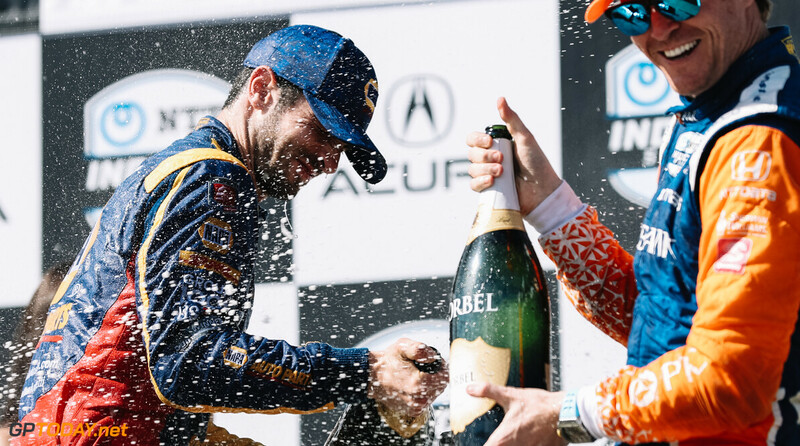 The 19-year-old lost the car on his own, continuing his tough run after winning at COTA last month.